When it comes to applying for a business loan for an existing company, you will have to submit few documents, have a good business plan, keep the financial reports, and more. 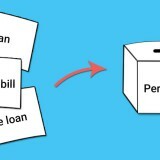 It is a fine idea to gather all you need, prior to starting with the business loan online application process. You must create a sound business plan when you apply for the loan, even if the company is already in operation. The reports to convince the bank can include financial statements, projected turnovers, details of cash flow, profits, losses, balance sheet of the organization. Or if it is a start-up, then again a proper formulation of its plan is mandatory. Why you want the loan? Some lenders ask for evidence related to the company or management experience, specifically if the business loan is for a company that is relatively new. You may have to produce copy of personal and organization’s income tax returns of a specific tenure, primarily of the past three years. If you wish to take a business loan online for an existing company, then you may have to submit the credit report of the same, as well as the personal credit report before application procedure. This will assist the bank to understand the financial condition of the organization. Inaccuracies in your credit report can tarnish chances of getting the funds. Details of current financial position matters a lot. So make sure, you have accounts payable and account receivable. Personal documents: Proof of address, identity, financial reports, bank statements etc. Get all the required documents and information in place, as it will secure you a better chance of obtaining the business loan. Keep detailed records of what your assets are worth. Cash savings, deposits, business inventory are some of the collateral accepted by banks. Why Apply for a Business Loan Online? 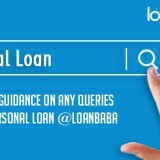 Online platforms such as loanbaba.com have tie ups with leading financial institutions and banks, which offer unsecured business loans for small to medium enterprises. The advantage is that there is no demand for collateral or security. Interest rates are low, and you get to compare these online. Who can apply? Sole proprietorship /partnership firms, public/private limited companies from any type of service, retaining, manufacturing, or trading industry etc. operating in India. You can check for your loan eligibility, and use business loan EMI calculator to understand the equated monthly installment to be paid. There will be a relationship manager who will work through the business loan process, and get everything sorted to get the loan sanctioned. 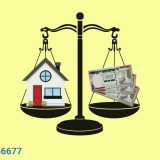 Next story What is the Ideal Loan against Property Tenure?